First don't use ant brushless motors for drive as they are intended for weapons. i'm only a finalist in BBEAMS 7 which was a meme tournament and I just stole a NAR AI bot and made it dense as ****. and Not Bushido was a thing that happened, I beat the #1 seed despite being #bad seed. what is ant brushless motors? Yeah. Piglets for drive = no. Needs to be made invertible (so it can run on it's back) and probably has poor extender work. How ant hex to be invertible, wait a minute what is invertible? What is piglets for drive? Piglets are your drive motors. You know, the ones that are *named as* Piglet in the bot lab. Invertible is being able to run when on it's back. As I explained to you. Poor extenders means you can make these extenders better/efficient. Don't use baseplate anchors, use multiextenders instead. then use side attachment points to add more extenders. anchors are 2 kgs lighter in 2.2, so he should definitely be using them in the antweight class. Let's just admit something, here. It's a million times better than joymander. Although, I still agree with everyone that piglet motors are terrible for drive. The amount of truth in that hurts so much. when it got flipped upside down, i can't flip to downside up and got count out. The E-tek on its own is not sufficient for drive. Only the e-tek with the gearbox is capable of drive. Either go with that or switch to NPC motors. Also, use the blue control board since its lighter than the green one. and the rear plow does not do much. 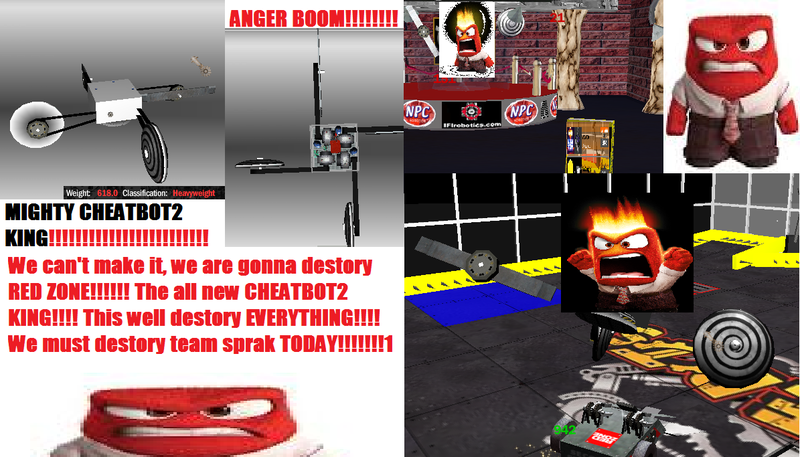 What about making cheatbot2 bots? tip and question about this bot? I have no comment, I can barely see what's inside it, and I'm not sure if any cheatbot parts are there. There is some cheatbot2 part here. 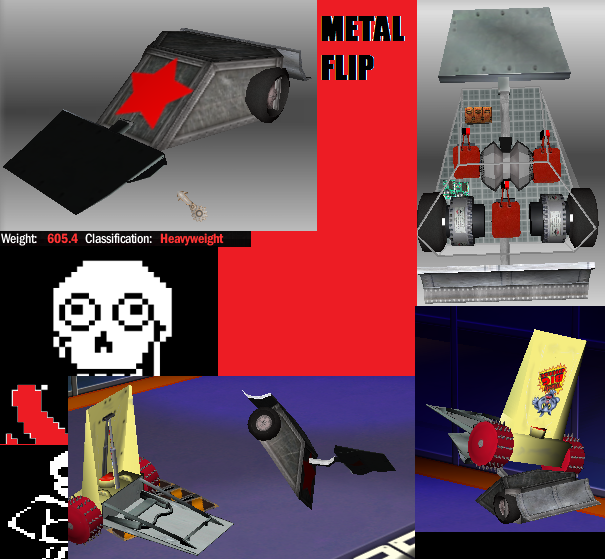 Battlebots part and Robot Wars part added in DSL 2.2 as cheatbot2 part. I'm assuming the cheatbot parts here are the Nightmare motors and the Hovercraft engine? Because other than that, I can't see any cheatbot parts. Also, the robot doesn't appear to be very good at dealing damage. The Hypno-discs alone aren't good enough to do anything sufficient. You may also want to build to the weight limit; You'll really struggle to win fights with it if you don't. You filled the entire chassis with components though, there's barely any empty space. That's good! Keep doing that with future designs.